One of Africa’s most notable skin care oils. Rapidly absorbed, reducing Trans Epidermal Water Loss – good for skin rejuvenation. First-class super fatting agent for soap use. Marula occurs throughout most of sub-Saharan Africa outside the humid forest zone, from Mauritania and Senegal to Ethiopia and Eritrea, south to Namibia, Botswana, Zimbabwe, Mozambique, South Africa and Swaziland. It is also present, possibly introduced, in Madagascar and has been introduced to Mauritius and Réunion. Marula oil is one of the truly remarkable seed oils produced from a very special tree which is venerated as a holy tree by many tribes in Africa. The tree is also protected by law in South Africa and one can see that these trees are left standing in cultivated lands where the rest of the bush have been cleared out. A large Marula tree is really beautiful and when it is in fruit, more so. The tree is utilised for many products such as food, beverage, medicine and natural dyes as well as for the lovely shade it makes in summer. The name Marula comes from Setswana for a favourite haunt of barbets and woodpeckers, who make their nests in the soft wood. The flowers attract great numbers of insects and therefore other birds as well. Antelopes, elephants, monkeys, cattle and goats eat the ripe fruits fallen on the ground. Marula harvesters are mostly women in rural areas and this opportunity provides them with participating in economic activity. These rural women are currently empowered by companies that buy Marula seed for oil processing and every ml of oil used for ingredients on a global basis will create more opportunities for a better life. 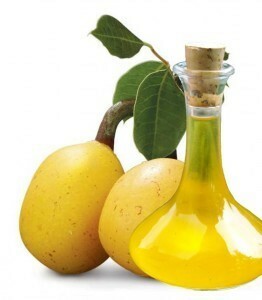 Marula oil is a clear, pale, yellowish-brown colour and has a pleasant nutty aroma. The oil is classified as medium rich and is silky to the touch with an excellent ‘slip factor’ making it ideal massage oil. Like many other fixed oils (e.g. baobab seed oil; olive oil), Marula oil is rich in monounsaturated fatty acids which makes the oil very stable (Hore, 2004; Mariod et al., 2004; Zimba et al., 2005; Kleiman et al., 2008). 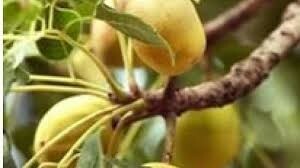 Marula oil is rich in essential fatty acids, thereby helping to create a more youthful and radiant glow to the skin. Its fine molecular structure is the key to its effectiveness as a skin hydrator and protector making it ideal for most of all skin types especially ageing and under-nourished skin. • linoleic acid (4–9 g/100 g). o aspartic acid (5.5–8 g/100 g protein). The oxidative stability of Marula oil is very high (induction period of 32 h) when compared to other fixed oils such as olive oil (4.6 h), sunflower oil (1.9 h) and cottonseed oil (3.1 h) (Burger al., 1987). The fatty acid composition of Marula oil which is comparable to that of olive oil. It can, therefore, be used as starting material for the production of cocoa butter equivalents that can be used in the food and cosmeceutical industries (Zimba et al.,2005). Mariod et al. (2004) who investigated the composition of selected Sudanese oils found that the Marula oil contained, in addition to saturated and unsaturated fatty acids, tocopherols, sterols, procyanidine, gallotannin. The tocopherol content of the oil (mainly dominated by γ-tocopherol) amounted to 13.7 mg/100 g oil. The total content of sterols was 287 mg/100 g oil with ß-sitosterol being the main compound comprising about 60% of the total sterols. A study also revealed the presence of 5-avenasterol (4.8 mg/100 g) in high levels (Mariod et al., 2004). The presence of other fatty acids in the oil including caproic and arachidonic acids was also confirmed. • By hand after manual removal of the sealing plugs or “eyes”. • Mechanical hand operated cutters which splits the Marula stone and then the kernels are extracted by hand. • Decorticating machinery where the Marula seed kernels are separated by mechanical means using a knocking action which separates the kernels. The kernels are pressed out by means of hydraulic or screw presses. These presses can be operated manually or driven by electric motors. The oil expressed by hydraulic means are usually lighter in colour than screw pressed oil where higher temperatures and friction causes that tannins from the kernel skin and small woody particles are absorbed into the oil. The large-scale potential of wild harvesting of Marula products such as seed and fresh fruit lends itself to job creation and poverty alleviation projects. In many of the high-density Marula areas, much of the fruit goes to waste every year. These can be picked up and sold to producers of pulp and oil and valuable income can be generated. 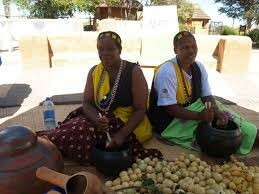 The other great potential is to introduce orchards of Marula with the aim to farm it as a crop. A further potential is for entrepreneurs to start nurseries where selected superior plant material can be grafted onto small trees and can then sold to farmers. Fernandes, R. and Fernandes, A. 1966. Anacardiaceae. In: A.W. Exell, A. Fernandes and H. Wild (eds). Flora Zambesiaca 2 (Part 2):550-615. 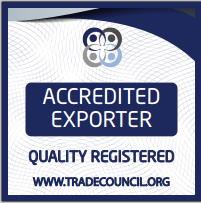 Crown Agents for Oversea Governments and Administrations, London. Shone, A.K. 1979. Notes on the marula. Department of Water Affairs and Forestry Bulletin 58:1-89. Department of Water Affairs and Forestry, Pretoria.